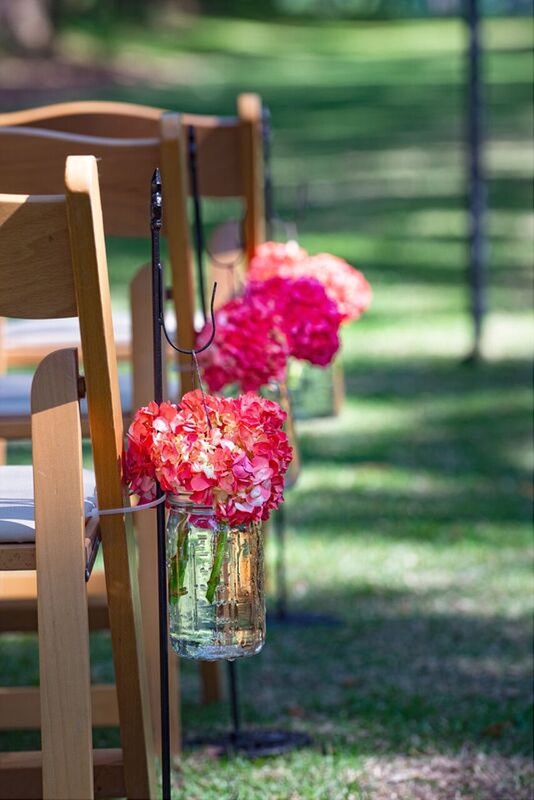 Charleston Wedding Flowers – To DIY or Not? Floral are an area I would not recommend for DIY for a Charleston Wedding. Anything that can be done weeks or even days ahead such as invitations, jewelry, favors and non-floral décor are much better options. I totally understand the appeal of saving money on florals but I have had 3-4 brides try this and all of them ended up completely stressed out on their wedding day because of it. 1. One bride purchased florals already put together & shipped to her to save money on her Charleston Wedding. Even though there really wasn’t much of a savings when the flowers arrived they looked beaten up, were already wilting and were brown around the edges. She brought them to the rehearsal dinner hoping I would take them for her, however I didn’t know she was doing this and my car was already full of her other items, I don’t have an extra fridge just for flowers and wasn’t going to waste my food by clearing out my fridge for her florals and she also wanted the flowers to be delivered to her for her photos, which were taking place offsite 45 minutes from her venue & there was no way I could have left the venue for 1.5 hours during set up to deliver them. What Charleston wedding florists do & have that we don’t do or have! 6. Dealing with emergencies. I have had a wedding move from a state park into my house with just 2 days notice & the florals had to be completely redesigned to suite a new venue. I’ve also had occasions with “flying flowers” in windy conditions where Karen the florist came back and together we came up with a plan to keep them from flying off the tables. So as you can see while the obvious purchase is the flowers a portion of what you are paying for is the service especially timing and supplies that really take the stress off. 1. Tell the florist you want to cut the budget down and she can often recommend floral swaps that really don’t look much different than the original version. 2. Repurposing florals – bridesmaids bouquets for centerpieces, ceremony arrangements moved over from ceremony to reception. 3. Use more non-floral décor such as candles.